Coming on the heels of Bombardier Business Aircraft’s massive expansion plans for its Singapore Service Center, the Canadian manufacturer will debut its flagship business jet, the Global 7500, at ABACE 2019, v-p of sales for the Middle East, Asia-Pacific and China, Khader Mattar, told AIN. He believes this airplane is likely to have strong appeal to customers in China and the Asia-Pacific (APAC) region, especially after coming off a record flight in early March that busted its published range of 7,700 nm. “I think this aircraft will exceed the expectations of those regions in terms of range, performance and comfort,” Mattar said. Bombardier’s forthcoming Global upgrades, the 5500 and 6500, also should see some interest in the region, Mattar noted, particularly from customers looking to make nonstop trips to London and other European cities. Deliveries of both variants are expected to commence later this year. 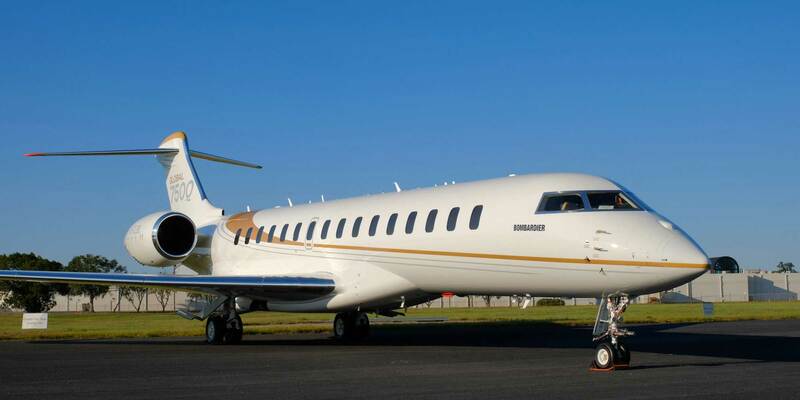 In 2018, Hong Kong-based HK Bellawings signed a letter of intent with Bombardier to acquire as many as 18 Global 6500s and 7500s in a deal valued at $1.136 billion at list prices. As of the fourth quarter of 2018, Bombardier (Chalet 5, SD5) claimed to have the largest installed base in Asia—which includes Greater China, India, and Asia Pacific—with 322 aircraft, or 31 percent market share. Bombardier also claims it had 31 percent market share in Greater China, with 130 aircraft, not including very light jets or corporate airliners. That is the second highest market share in Greater China, the company said, though Mattar noted, “We are aiming to be number one soon.” Bombardier’s first delivery to mainland China was in 2009, when it delivered a Global 5000. The airframer’s long-term commitment to the China and APAC markets is demonstrated not only by its installed bases but also by its services infrastructure there, such as parts depots and regional support offices in Hong Kong and Tianjin, as well as new and growing service centers, Mattar said. In 2017 Bombardier inaugurated the Tianjin Service Center in China, in partnership with the Tianjin Airport Economic Area, to perform scheduled and unscheduled maintenance, including avionics installations and AOG support for Bombardier Challengers and Globals. More recently, it announced plans in February to quadruple the size of its Singapore Service Centre and nearly double its head-count there. The footprint of its Singapore site will expand from 100,000 sq ft to 430,000 sq ft. The expansion will include new customer facilities; a 37,000-sq-ft paint facility; a 10,000-sq-ft integrated parts depot; heavy structural and composite repair capabilities; expanded component, repair and overhaul facilities; and advanced interior finishing. The larger facilities will support more than 2,000 annual visits of its Learjet, Challenger, and Global models, including the new Global 7500. The current center holds more than 20 certifications and authorizations from international regulators and provides scheduled and unscheduled maintenance, and AOG support. It is also recognized as a center of excellence for complex retrofit work, which includes avionics and Ka-band satellite communications installations. The center currently employs more than 150 people, including 100 licensed engineers and technicians. A spokesman told AIN the Singapore center’s total employment is expected to increase to more than 300 employees over the next few years. Groundbreaking on the expansion also began in February, with expectations for it to be operational in 2020.